Japanese Restaurant Minneapolis: Try Every Ramen Dish! Try Every Ramen Dish on the Menu! 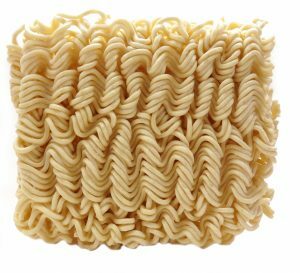 When you were in college, it’s quite possible you survived on Instant Ramen™. While this is a quick and easy meal, it doesn’t quite compare to the delicious varieties of ramen you can find at a traditional Japanese restaurant. Traditional ramen noodles have been around since the early 20th century, and while their origin is somewhat debatable, what isn’t debatable is their ability to create an amazing dish.. At Moto-i, our kitchen staff knows how to make a delectable ramen dish, and you’ll want to try every one on the menu! We have eight traditional ramen dishes to choose from, including a variety of dishes with meat, vegetables and more. If you’re in the mood for something straightforward, our Classic Pork Ramen is a great choice. It features a pork broth, pork belly, and smoked pork shoulder, along with egg, chili oil, scallions, and togarashi, which is reminiscent of red chili peppers. If you require something without meat, our Vegetable Ramen features spicy vegetable broth, tofu, bok choy, corn, zucchini, shiitake mushrooms, and red cabbage. If you’re feeling adventurous, our Red Coconut Beef Curry Ramen is an optimal choice, as the red coconut curry should provide the spice you’re seeking. If you love traditional Japanese cuisine, namely ramen noodles, come to Moto-i today. We’ll gladly help you choose a dish from our menu, or serve up your favorite every time you visit! We have plenty of rice dishes and other menu items to choose from, so everyone in your party will find something they love. We look forward to seeing you soon!